Preparing annotated bibliographies can be a challenge for many students because it can take a lot of time and it requires several skills. These include the ability to provide concise descriptions, critically analyze works and present the analysis succinctly. In addition, research skills are essential in preparing these bibliographies. Though not always required, your instructor can ask you to use annotated bibliographies in your work, especially in writing complex tasks such as research papers, thesis, and dissertations. Thus, you must take the time to write the annotations. You will also find the services of expert annotated bibliography writers, like us, to be useful. We will help you submit work with annotated bibliographies that are well written and uniquely done. The annotated bibliography is a list of citations and a brief description of each source cited. It is the same as regular bibliographies except that after each citation, it includes an annotation; a brief description and/or critical evaluation of the work cited. Typically, it describes and/or analyses the view, clarity, and authority of the author. The annotation can also present your insights and thoughts on the work being cited. It does more than present a list of sources of information used in the piece of academic writing. It serves the purpose of proving your understanding of your sources, encourages critical thinking, contributes to the validity of your work and establishes your competence as a researcher. There are different types of annotations; mainly summary and evaluative annotations, and thus the content of the annotation itself will vary depending on whether you are writing an evaluative, descriptive, or informative annotation. For instance, if you are preparing a descriptive/informative annotation, you will include a short summary of the material and a little information on the source and its author. For a critical/evaluative annotation, you will write a short paragraph evaluating the source and its author on areas such as objectives, biases, strengths, weaknesses, evidence, methodology, and uniqueness of the work. Write a short summary of the source with a mention of its intended audience and a critical evaluation; you should include an analysis of the relevance of the work to its field of study, as well as its usefulness in your work. Relevant links to related works are also sometimes included. The good thing is that we can help you. We are a reputable academic writing company that provides annotated bibliography writing services. We, however, don’t just start and stop at the bibliographies. We offer different services as well; these include writing research papers, essays of all types, term papers, and dissertations. We also provide proof reading, editing and rewriting services. By simply placing your order online or using any of our multiple contacts, you can get one of our expert writers to work on your annotated bibliography and more. We have the advantage of education and experience that will ensure the bibliographies are done according to the formatting style of your paper or dissertation. We understand the current rules of APA, MLA, Chicago, Harvard, Turabian, Oxford and other less common formatting styles. Therefore, you can trust us to deliver annotated bibliographies formatted according to the spacing, indentation, and margin rules of the format style you have specified. Aside from the formatting style, we will write the annotations in whatever writing style you desire; whether a paragraph or the more succinct, minimalist sentences characteristic of telescopic annotation writing. Despite the amount of time and work that goes into writing good annotated bibliographies, we ensure that yours will be ready on time. We respect your timelines and understand that you have deadlines you must meet too. We, therefore, do our best to deliver the best quality of work at the agreed time. Since one of the problems for many students is that they lack adequate research skills, it is difficult for them to find and select appropriate sources. This, in turn, makes it difficult for them to come up with good bibliographies especially if relevant links are to be included in the annotations. We don’t have these challenges. We have a team of great researchers who will find relevant sources for you and do so in good time. Affordable yet high-quality writing service unlike that which is offered by companies that provide cheap but substandard writing services. 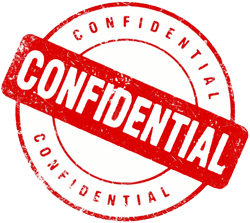 Secure and confidential ordering process that ensures your information is protected. Get your annotated bibliography, and review it. Trust our expertise today and let us help you come up with the best-annotated bibliographies.